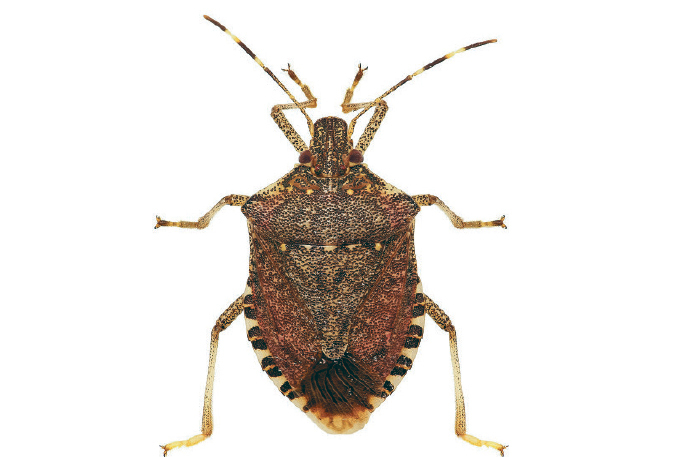 Those who think they’ve spotted a brown marmorated stink bug should catch it and call 0800 80 99 66 immediately. Facilities handling containers of imported goods are coming under increased scrutiny following the discovery of a single brown marmorated stink bug at Mount Maunganui late last year. Biosecurity Minister Damien O’Connor says while no others have been found, the male bug was located just 2km away from 29 transitional facilities handling imports. Before sea and air containers arriving in New Zealand can be opened, they first go to one of the 4518 handing facilities approved by Ministry for Primary Industries. “I’ve asked Biosecurity New Zealand to take a fresh look at the facilities where containers of imported goods are initially emptied and checked for biosecurity risks,” says Damien. “These facilities are dotted around our ports and airports and are a key component of New Zealand’s biosecurity infrastructure. Just before Christmas, a bug was found in a suburban house by a member of the public who notified Biosecurity NZ. The response was rapid and included meetings of members of the Government Industry Agreement body and the deployment of teams setting traps and searching for any other brown marmorated stink bugs. By late-January no more had been found but surveillance was to continue for 12 weeks after the first sighting before being scaled down. The Minister of Agriculture visited Mount Maunganui on January 24 to thank staff at Biosecurity New Zealand, MPI, Kiwifruit Vine Health, Avocado New Zealand and the private company SPS Biosecurity Ltd contracted to carry out the trapping and surveillance – who all had their Christmas holiday plans disrupted by the need to respond to the discovery of the insect. He also thanked the member of the public who recognised the insect and called the 0800 number. It is estimated that if the BMSB took hold in this country it would devastate the fruit, vegetable and wine industries, destroying more than $4 billion of exports and costing thousands of jobs. During his visit Damien was taken to one of the locations where SPS Biosecurity had set up a BMSB trap, and shown the methods used to seek out the insect in the surrounding area. Two pheromone-impregnated strips were attached to a tree. One will attract most members of the stink bug family, while the other was specific to the BMSB. Below was a rectangle of plastic with an adhesive surface, to trap insects which crawl across it. This includes spreading a cloth below the tree and shaking branches to see what falls out and holding a small “beating sheet” under branches which are “beaten” with a stick and then inspecting what is caught on the sheet. While extensive research is underway, KVH board chairman Dr David Tanner says there are currently no truly effective means of killing the brown marmorated stink bug. However, should it become established here, the Environmental Protection Agency has approved the release of the Samurai Wasp, which can destroy up to 70 per cent of eggs in a stink bug egg mass. To find out more about the bug, search ‘brown marmorated stink bug’ at www.mpi.govt.nz. If you see one, catch it and call 0800 80 99 66 immediately.